Experts say training can help to prevent injury. At some point during the climb up Doomsday Hill, your legs burning and your side aching, you'll wonder if there's another way, a way to end the suffering, a way to make this all somewhat more manageable. Desperately, as you gulp for air, you look to the sky for answers. Then it hits you. In reality, the answer has been right in front of you this whole time. Next time, in the weeks and months before the 12k run known as Bloomsday, you'll actually train. But training is something you've never done before, or at least never done well. Where do you start? Your local gym? With a good power walk around the neighborhood? At the dinner table? If you ask Laura Wambold, a clinical exercise physiologist at St. Luke's Rehabilitation Institute and coach at local fitness center Farmgirlfit, the best training advice depends on the person and their goals. But there are still some basic tips that apply to everyone before a big race, whether you plan on walking, running or winning. Preparing for the race, in some way, is crucial. "I would definitely recommend people train," Wambold says. "[Bloomsday] is a decent distance, and a hilly course. It's good to prepare your body for that to reduce the risk of injury." If you haven't trained yet for the race, you're probably wondering where this advice was three months ago and, at this point, you're already screwed. But there are a couple of last-minute tips to make the race a bit less uncomfortable. For the rest, consider it a plan for next year, or for the other races you'll find across the Inland Northwest this summer. 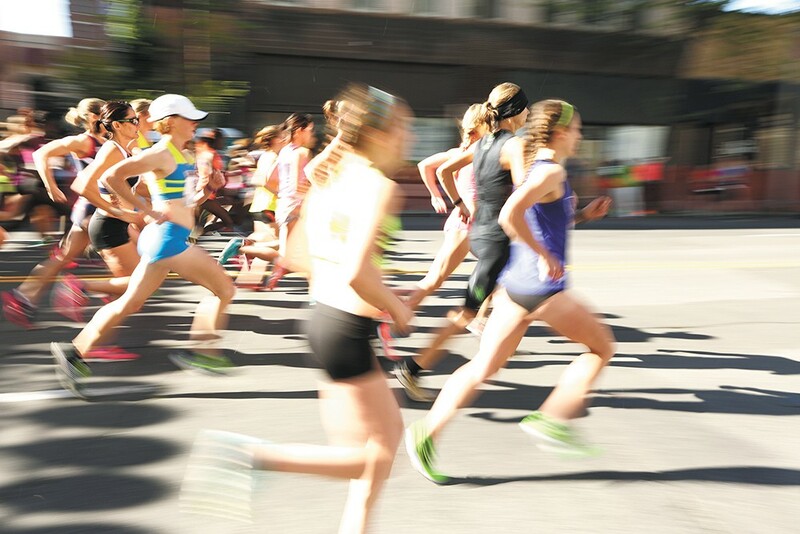 Don't underestimate Bloomsday — 7-plus miles is nothing to scoff at. The training advice is essentially the same, no matter if a person is walking, jogging or running the race, says Wambold. You want to start out easy, and then gradually increase the mileage and the time spent training over the course of months. If Bloomsday is the goal, it's best to get experience outside. Use a treadmill if joint pain is an issue, but try to get outside a couple of times anyway. After all, Bloomsday is supposed to be fun, and training should be enjoyable. "I usually recommend what people enjoy the most and what feels best on their body," Wambold says. "I'd want some of it to be outdoors, if not all of it. But if you're having problems with joints, then indoor treadmill use could be an option." The key with a successful training program is giving your body some time to rest in between, says Wambold: "Rest is about as important as the training. You need a good balance of both." That doesn't mean sitting on the couch for days. But maybe try shorter walks or runs in between a heavier workout once a week. For those who have already failed to accomplish even the minimal amount of training, it's important not to overexert yourself the final week before Bloomsday comes, even though you should try to stay active somehow. It all depends on your baseline of endurance. You haven't exercised since last year? Don't go out and try to run 7 miles. If you're otherwise active, and a 5-mile run isn't overdoing it for you, Wambold says to give that a try. Either way, it's wise to taper off the level of activity in the final three or four days before the event, she says. What's most important in those final days is nutrition and hydration. Some people might tell you that it's important to eat a ton of carbohydrates the night before the race. Wambold says they're wrong. "What's better is a more balanced nutrition, the week before," she says. "You don't want to overload with carbs the night before." A good, healthy dinner will suffice. And don't get fancy. If you're not sure how it will sit in your gut, don't eat it. In the morning, eat a good breakfast, like oatmeal, or yogurt and a banana. You can even eat pancakes, as long as it's a good whole-grain recipe and you add some berries. Just try to avoid too much sugar. The days before the race should be spent hydrating yourself, she says. But don't just guzzle a ton of water right before or during the race — that's how you get a side ache. Drink small amounts when you can. Most importantly, Wambold says, don't underestimate the course. This happens all the time, even for people who are in shape. 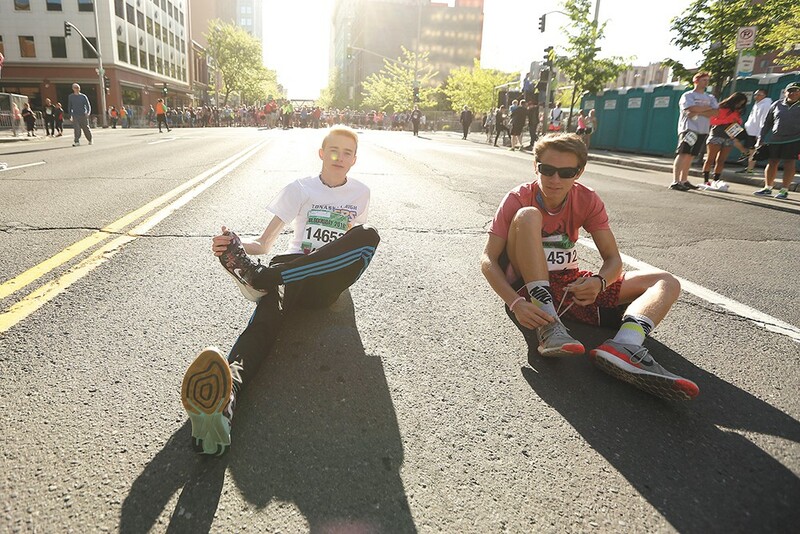 Bloomsday is 7-plus miles, and it's a unique challenge. It's far from a marathon, but you can't just go out and run it without a proper training plan.